There is no need to wonder or guess if your contracts will be enforceable, valid or acceptable in a courtroom if that becomes necessary. 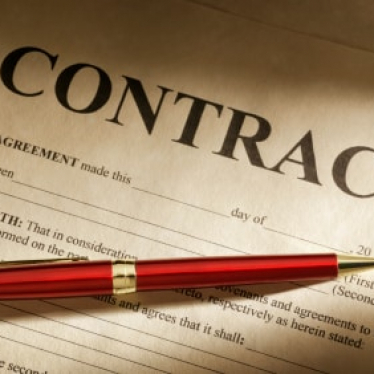 Contracts are the backbone of many business transactions, such as mergers, sales and employment agreements. If your contracts are not valid or able to withstand challenges, you could experience losses or worse. In the same manner, if a contractor has not performed for you according to your contract with them, you have legal options to remedy that situation. The obvious answer is to work closely with a California Contracts Attorney to make sure your contracts are indeed valid and enforceable. If you have any questions about California contract law, consult with Valencia, CA, Attorney Seth M. Goldberg. Seth is a detail-minded lawyer who works closely with business clients to help them with business legal decisions and to create various business documents, including contracts. He offers high quality legal representation at reasonable rates to corporate, business and individual clients in Southern California. During his law education and professional legal career, Seth M. Goldberg gained the detailed knowledge and experience needed to be a lawyer who aggressively defends and protects his business clients and their interests. He believes that a proactive stance is best and that being prepared for challenges is always important. Having properly prepared, filed and executed documents is the best way for a business owner to ensure satisfaction and performance by all parties. Seth works closely with his clients on issues that affect their businesses, including employment agreements, contract performance, breach of contract disputes and other matters that can cause problems for a business owner. There is no need to wonder or guess if your contracts will be enforceable, valid or acceptable in a courtroom if that becomes necessary. Get experienced legal representation at the beginning stages of your business and throughout business growth and expansion. You will be using contracts to accomplish many elements of doing business successfully; make sure your contracts are correct and legal on every point. The Law Offices of Seth M. Goldberg, A Professional Law Corporation, are located in Valencia, CA, convenient to clients in the Southern California region. Start improving your business legal stance today, by making an appointment to review and discuss your business contracts. Call Attorney Seth M. Goldberg for an appointment now, at (661) 294-9123.